Neck Pain can be a debilitating health problem. Your head is heavy and balanced on a narrow support made up of seven bones called vertebrae. The vertebrae are separated from each other by discs, stabilised by joints and ligaments and moved by muscles. Because the neck is so mobile, it is easily damaged. 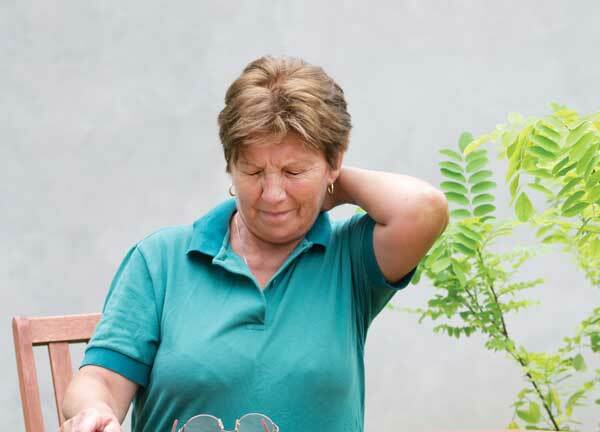 Onset of pain may be immediate or there may be a slow onset – pain gradually increases over several days or weeks. Pain or deep ache of the neck, shoulder or arm (this needs to be differentiated from true shoulder pain, such as tendonitis\bursitis). There may be burning or tingling of the arm or hand or headaches. It may be continuous, or only occur when you are in a certain position. The pain may be aggravated by turning your head, looking up or looking down, you may experience stiffness of the neck and shoulder muscles and have a reduced range of motion of the neck. Bad posture can cause neck pain, ligaments are over-stretched, muscles become tired and the neck joints and nerves are put under pressure. Slouching your shoulders with your head pushed forward, sleeping with your head in an awkward position, or working with your head down for long periods, will all tend to cause or worsen neck pain. If you are experiencing neck pain, it is important that you have your condition assessed by a physiotherapist.